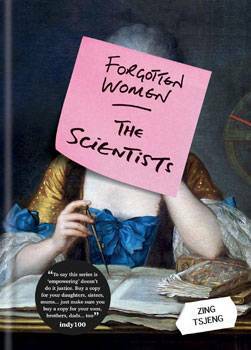 The Scientists celebrates 48* unsung scientific heroines whose hugely important, yet broadly unacknowledged or incorrectly attributed, discoveries have transformed our understanding of the scientific world. From Mary Anning, the amateur paleontologist whose fossil findings changed scientific thinking about prehistoric life and the Earth's history to Emmy Noether dubbed "The Mighty Mathematician You've Never Heard Of" and whose theorem is still critical to modern physics - these are the stories of some truly remarkable women. Chapters including Earth & Universe; Biology & Natural Sciences; Medicine & Psychology; Physics & Chemistry; Mathematics and Technology & Inventions profile the female scientists who have defied the odds, and the opposition, to change the world around us. Zing Tsjeng is the UK Editor of VICE.com's female-vertical Broadly. The channel focuses on women's issues and has been hailed as the 'slickest feminist platform around'. Zing has also become a spokesperson for millennial women, debating at Telegraph Women events, twice appearing on BBC Radio 4's Late Night Woman's Hour and writing for Dazed, the Guardian and Broadly.